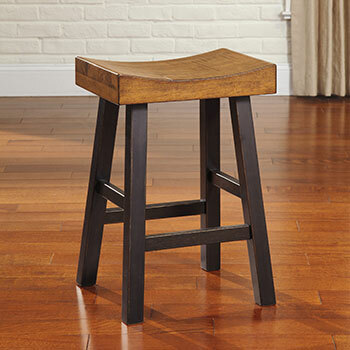 Squan Furniture has established its business as one of the top dining room furniture suppliers in New Jersey delivering discount rates on name brand furniture. Bring home names you know including Ashley Furniture, Klaussner Home Furnishings, Rachel Ray Home, Trisha Yearwood Home Collection, and many more. 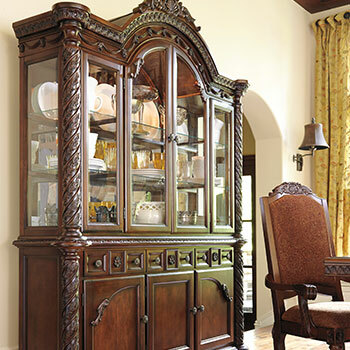 We have more than 1,900 unique pieces of dining room furniture in stock perfect for your home. 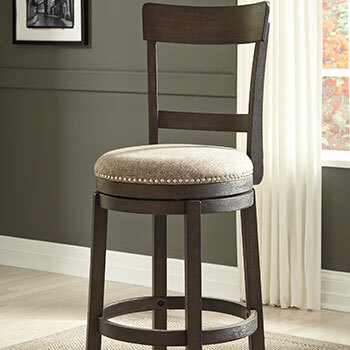 You can explore our wide selection online, at our Oakhurst, NJ furniture store, and our other two locations. You get 48-hour factory direct shipping on new dining room furniture qualified under our premier Squan Express delivery service. 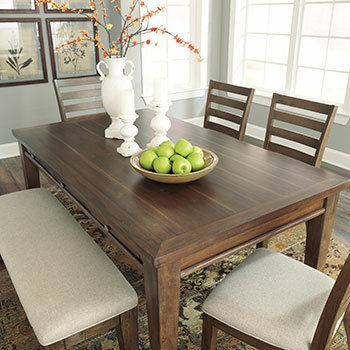 Enjoy free shipping on your dining room sets and more if you’re east of the Mississippi too! 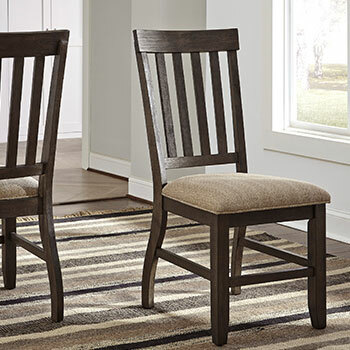 You can get artfully crafted dining room sets from our collection of over 700 dining sets including chairs and tables. 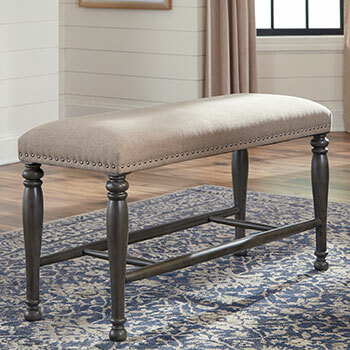 We have a variety of styles and combinations including models featuring faux marble table tops, traditional 5-piece dining sets with upholstered chairs and ornate china cabinets, and more. 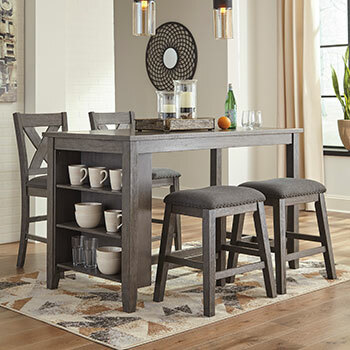 Stop by our Oakhurst, NJ dining room furniture showroom for top deals on name brand dining sets by Coaster Fine Furniture, Signature Design by Ashley, and more. We are sure to have a dining table you’ll love in our enormous collection of over 500 tables for your dining room. Enjoy an easy shopping experience in-store with help from our trained team of dining room furniture professionals. Shopping online? We make that easy too with our handy search filter. You can shop by tabletop shape, leg or pedestal base, and style including contemporary, traditional, transitional, and casual dining room tables. 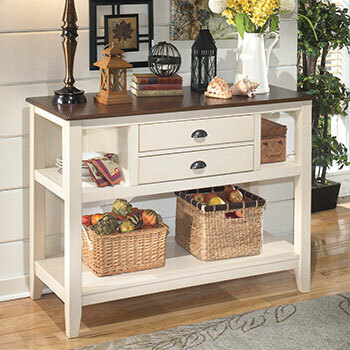 You can add extra storage and some characteristic flair to your dining room with a buffet, hutch, or server. 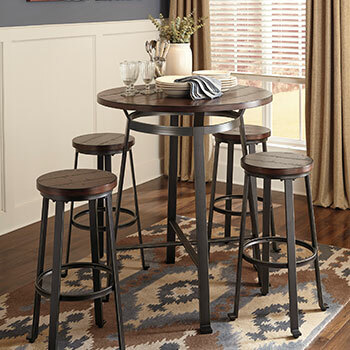 They make a wonderful place to prepare drink or snacks and look great in any space. We have many options including cart-style servers on wheels for ease-of-use and models featuring wine racks and cabinets. Shop our collection of buffets and servers at our Oakhurst, NJ brick-and-mortar and other locations.